Craft the perfect wedding gift. 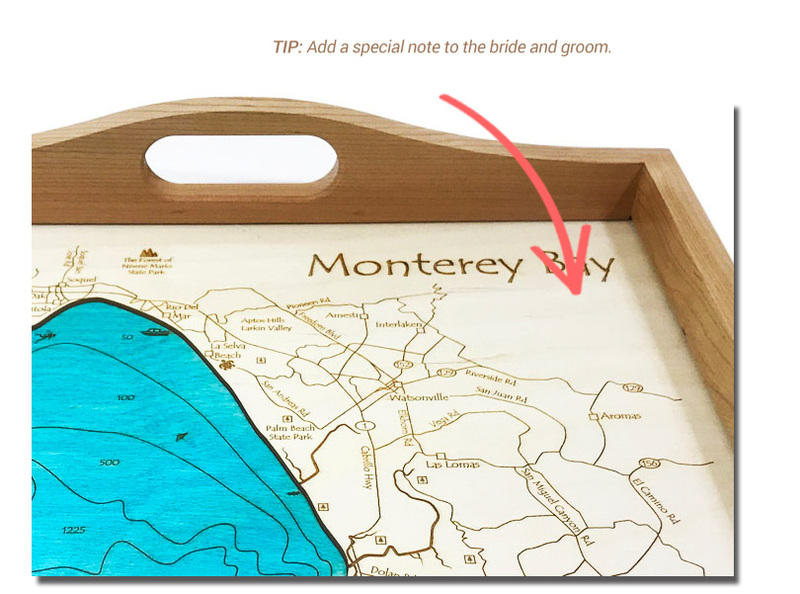 Create a personalized nautical serving tray commemorating the bride and grooms special moment. 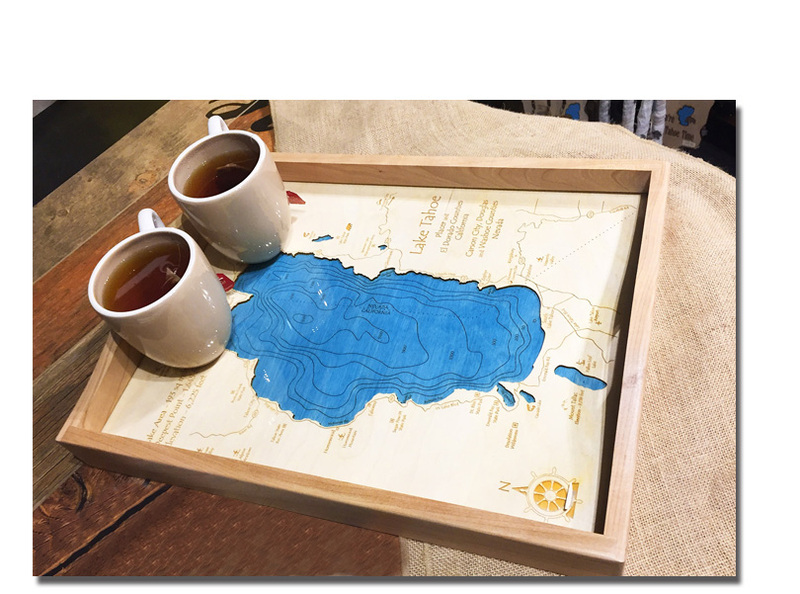 Our Nautical Serving Trays are available for over 5,000 locations including popular lakes, iconic cities, and beloved coastal regions. 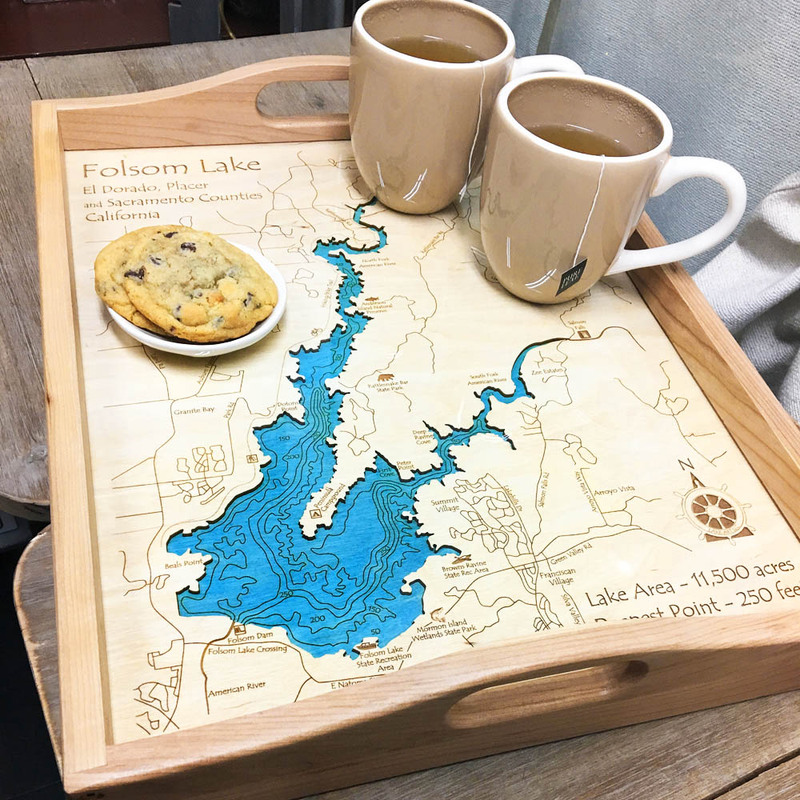 Memorialize their special moment by creating a personalized serving tray of the lake, city, or coastal region of where the bride and groom first met, became engaged, or tied the knot. 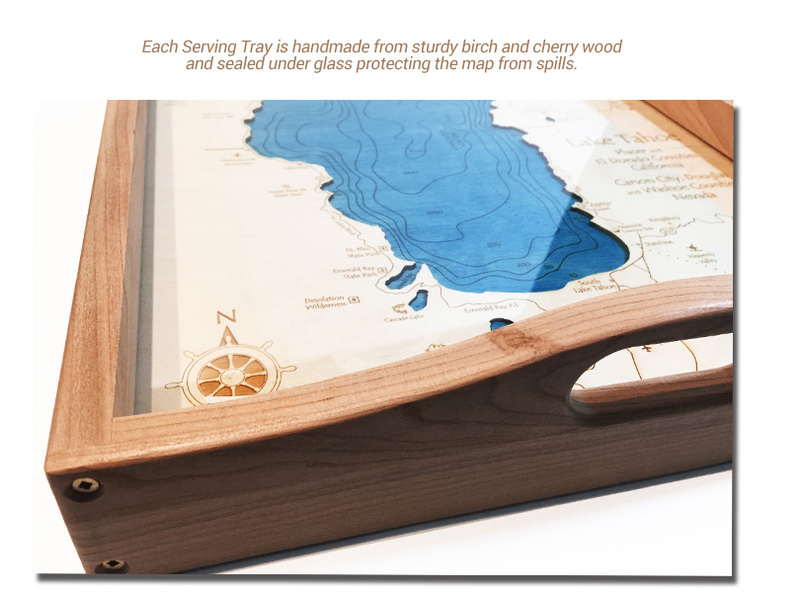 Each Serving Tray can be personalized with a thoughtful note to the happy couple, or customized icons can be added to commemorate their special place. 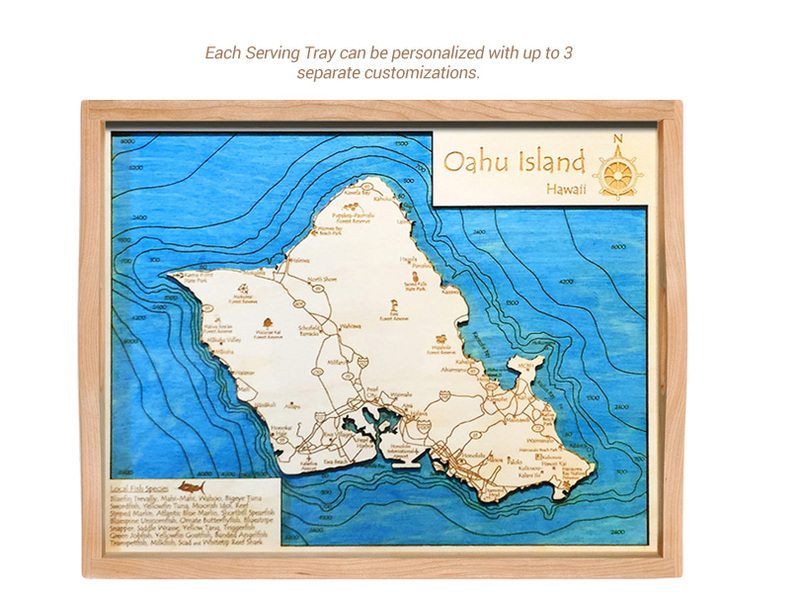 Laser cutters are used to carve captivating details including regional points of interest, roads, towns, and personalized customizations. 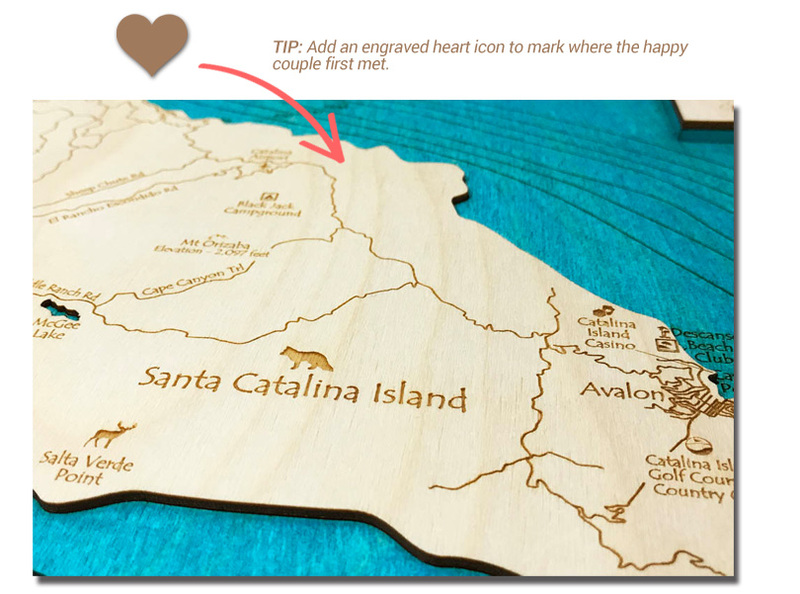 Celebrate their relationship by creating a one-of-a-kind engagement or wedding gift! Handcrafted and 100% made in the United States. 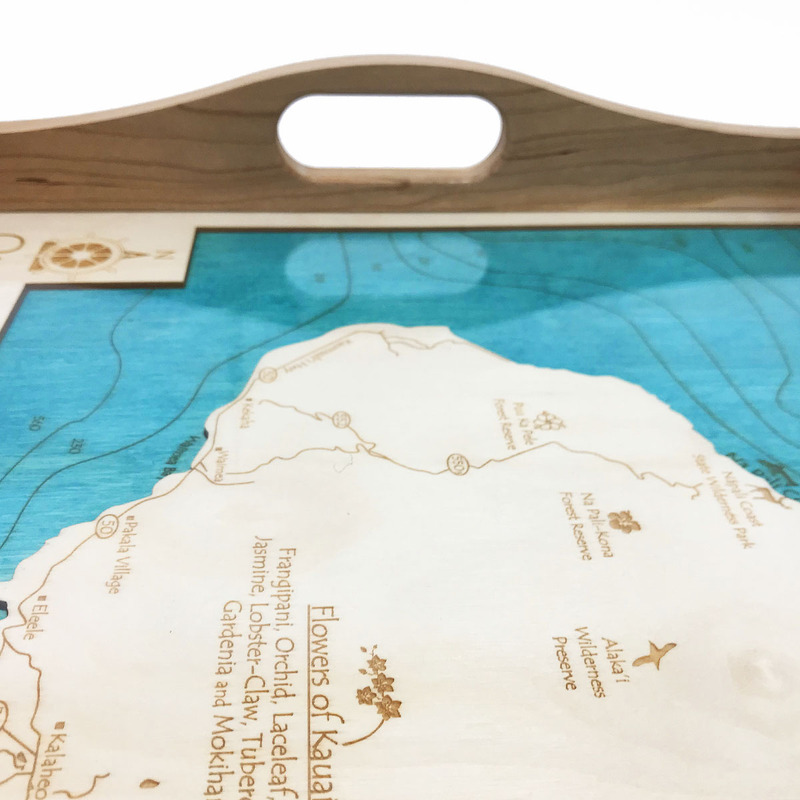 The map face and water layer is made from a beautifully stained Birch wood. The frame and handles are a rich Cherry showing natural grain and wood contrasts. 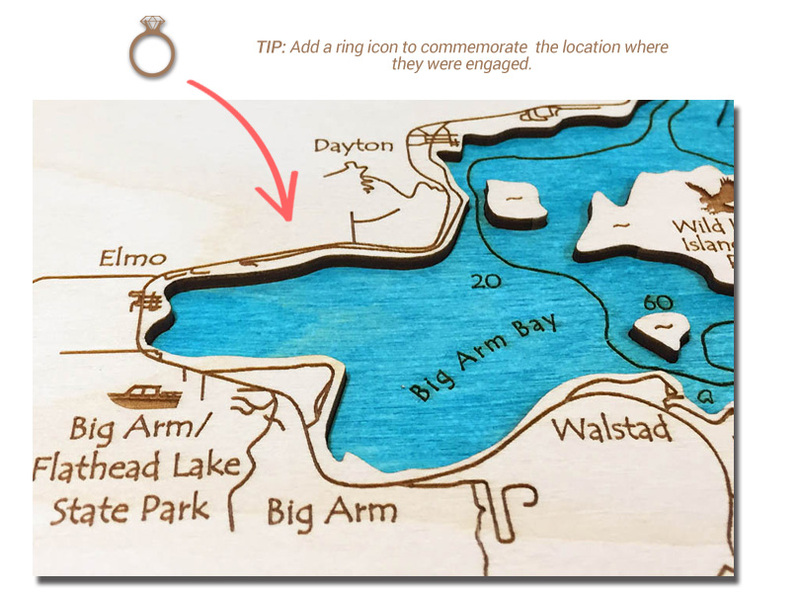 Laser-etched to create an accurate representation of your chosen lake or body of water. Maps display nearby towns, roads, points of interest, the underwater topography, as well as optional customizations. Each map features one level for land masses and one recessed level for water. 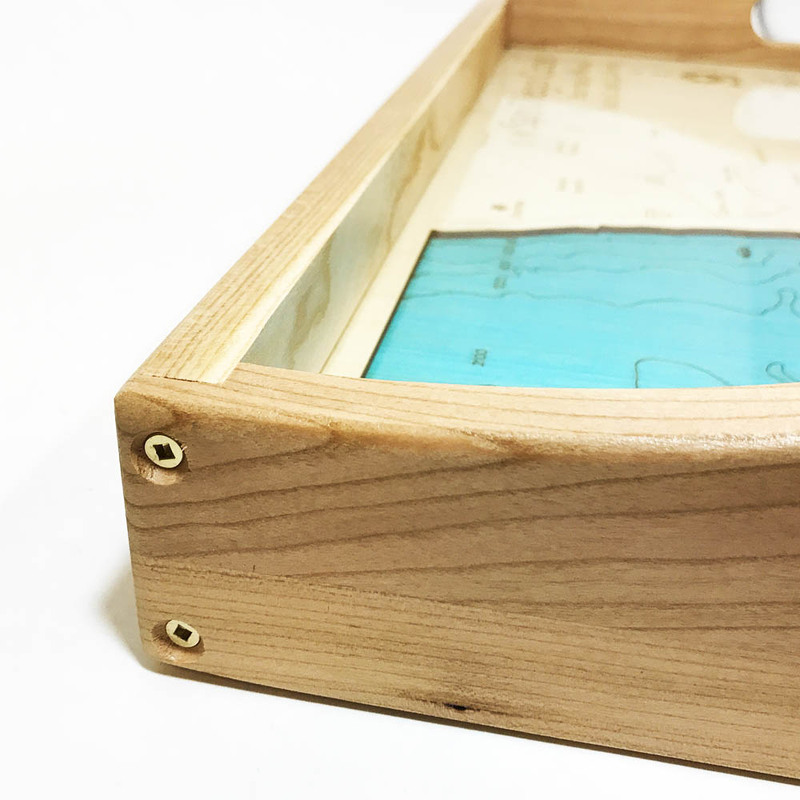 The depths within the water level are laser etched displaying the underwater topography (bathymetry). Dimensions: 14.75″ x 18.5″ x 3.25″ | Weight 6.5 lbs. We work with you every step of the way to craft the perfect wedding gift. 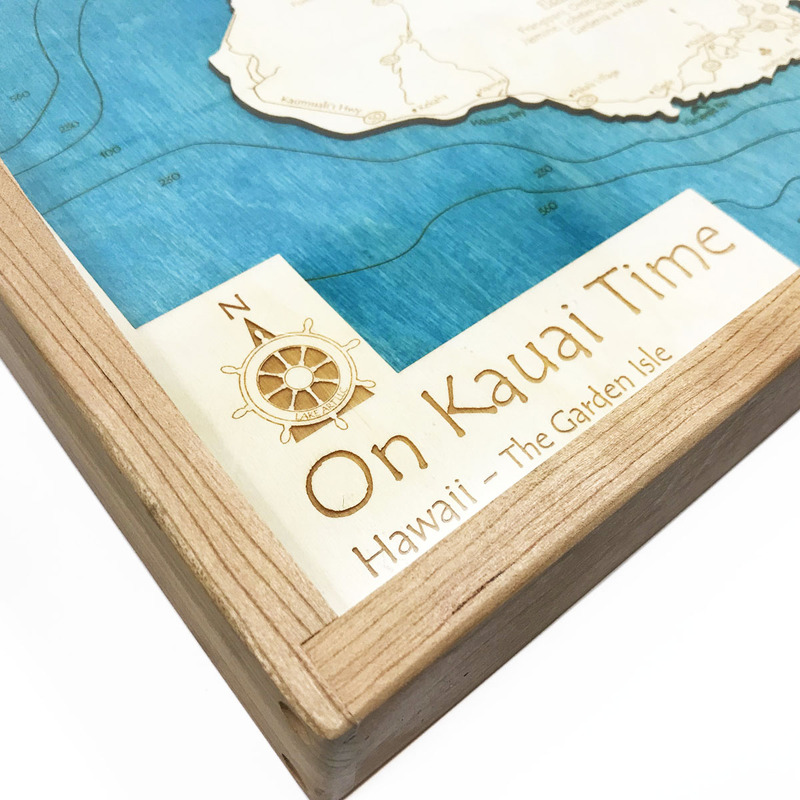 Once you place your order one of our Product Designers will contact you to work out the details and confirm locations, go over customizations, and provide you with a digital proof. 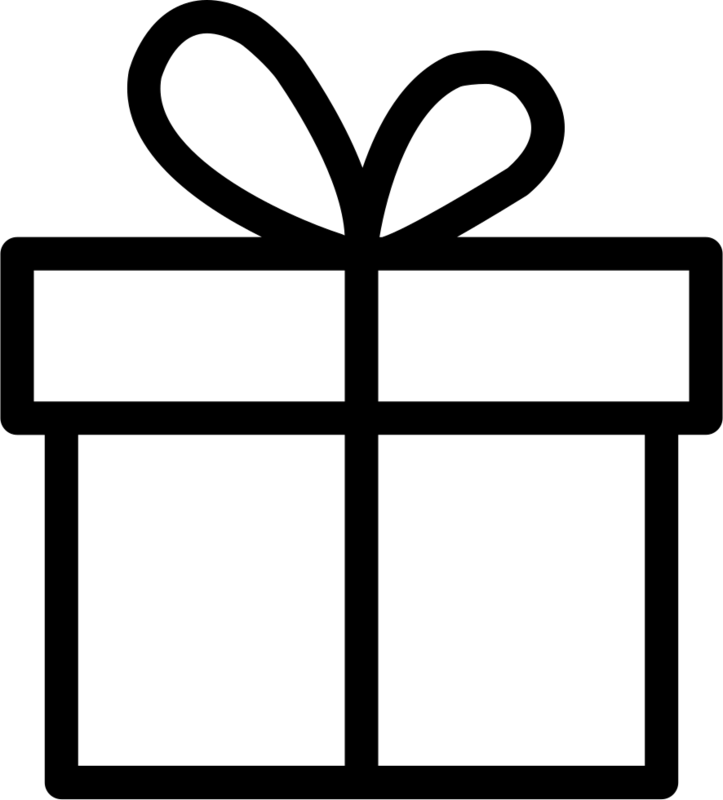 will typically ship 14-21 days after you approve the proof.